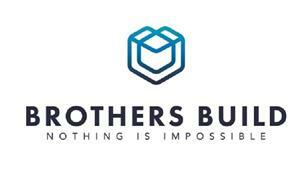 Brothers Build Ltd - Builder, Kitchens based in Poole, Dorset. Hello, my name is Andy Isles. Having been formally educated and working my entire 20+ years in the construction Industry. I started out as a carpenter and have developed and progressed in my career to working at a Director Level with an International Main Contractor. Due to my wealth of experience and more important my growing family. I decided to set up my own family run business with our highley experienced team locally to the Dorset area as I am passionate about improving my local area. My emphasis is to bring integrity, quality work and good customer experience. Having had direct responsibility for the successful completion of roughly £10,000,000 worth of projects over the past 5 years alone, Brothers Build has the experience, skill and attention to detail to deliver your project, whatever the size and budget.